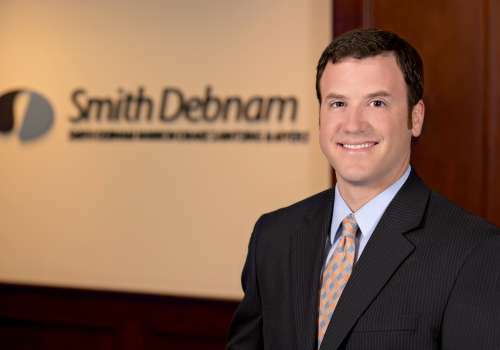 In the hectic world of North Carolina civil litigation, the focused practitioner understandably may lose sight of the forest for the individual trees. Analyzing thousands of pages of poorly-copied document production for that smoking-gun email, determining just the right dollar amount for your client’s twelfth counteroffer to keep the adverse party engaged in settlement efforts, and speed-reading opposing counsel’s summary judgment brief which was hand-delivered to you 30 seconds before the hearing started; such tasks lend themselves to intense focus, not an appreciation for the “bigger picture.” Yet, when the fortunate litigator does succeed in obtaining a civil judgment, whether by settlement, motion, verdict, or sheer luck, she is quickly confronted with the inevitable question from the client: how do we magically turn this paper judgment into gold? To assist those with less experience in the alchemy of post-judgment collections, we present the following general formula for catalyzing the conversion of your client’s paper judgment into something of tangible value. In order to get to judgment execution, the initial ingredient in the post-judgment collections formula, the judgment creditor must first (1) wait for the time to file a notice of appeal has expired, which is thirty (30) days from entry of judgment (tip: be sure to serve all parties with copies of the entered judgment under NCRCP 58 to get this clock started! ), and (2) deal with the issue of exemptions. A corporate (non-human) judgment debtor has no exemptions. If your debtor is a corporate entity, proceed to Step 2.
a “wild-card” exemption of up to $5,000.00 in value in any property, to the extent the debtor has not used her entire homestead exemption, Id. § 1C-1601(a)(2). (Note that the “wild-card” exemption does not apply to property purchased within 90 days of the initiation of post-judgment collection proceedings or the filing of bankruptcy). Before the Clerk will issue a Writ of Execution (described below) on a judgment against a human debtor, you must first complete and send to the Clerk for issuance both a Notice of Right to Have Exemptions Designated (Form AOC-CV-406) and a Motion to Claim Exempt Property (Form AOC-CV-415). These forms explain the available statutory exemptions to the debtor and provide instructions for the debtor to claim her exemptions by completing and filing the Motion to Claim Exempt Property and/or requesting a hearing. Upon receipt back from the Clerk, you must serve the debtor with the issued Notice and Motion. Service must first be attempted by personal service pursuant to NCRCP 4(j)(1), and an affidavit of proof of service should be filed with the Clerk. If service is unsuccessful, however, N.C.G.S. § 1C-1603(a)(4) allows the creditor next to serve the Notice and Motion to the debtor’s last known address by regular mail and to file with the Clerk a certificate of mailing indicating that personal service was attempted unsuccessfully. The judgment debtor has twenty (20) days from the date of service within which to file the Motion designating her exempt property and/or to request a hearing before the Clerk. N.C.G.S. § 1C-1603(e)(2). If the debtor fails to so act, her statutory exemptions are waived, and the judgment creditor may proceed with obtaining a Writ of Execution that will not be subject to any property exemptions. Id. ; but see Household Fin. Corp. v. Ellis, 107 N.C. App. 262, 419 S.E.2d 592 (1992) (holding that even where judgment debtor waived his statutory exemptions by failing to file a Motion to Claim Exempt Property, constitutional exemptions could nonetheless be asserted thereafter and up to the time of an execution sale, when substantial time had passed from time of waiver to time the exemptions were later asserted). If the debtor timely files her Motion to Claim Exempt Property, the judgment creditor is afforded 10 days after service of the debtor’s motion to object to the claimed exemptions. N.C.G.S. § 1C-1603(e)(5). Where the creditor objects to the claimed exemptions, the Clerk must set the objections on for hearing before a district court judge at the next civil session. Id. § 1C-1603(e)(7). If the creditor fails to object timely to the debtor’s claimed exemptions, the Clerk will enter an Order Designating Property (Form AOC-CV-409), which will preclude any efforts by the Sheriff to levy on the exempted property. Accordingly, to the extent the debtor’s claimed exemptions provide any grounds for dispute, it is often worth the time and effort for the judgment creditor to object and schedule a hearing. The prudent post-judgment alchemist should look out for attempts to exempt multiple motor vehicles, understated property values, or attempts to use the “wild-card” exemption while also claiming the entire homestead exemption. If the creditor fails to object, it has no assurance of how the Clerk will transcribe the debtor’s exemptions into the Order Designating Property – creating the possibility that further hearings may be required to clarify or amend the Clerk’s Order to correct an overly-broad or inaccurate description of the property subject to exemption. Generally speaking, if the creditor does not file an objection, the debtor’s exemptions will be incorporated into the Order Designating Property exactly as the debtor filed them. Additionally, each instance where the debtor is required to appear in court affords the creditor another opportunity to learn more about the debtor’s assets and situation, and more importantly, to engage in post-judgment settlement efforts and start receiving cash payments on your paper judgment. Once the time for filing a notice of appeal has expired and you have addressed the exemptions issue, the post-judgment alchemist can finally take her first step towards the magical conversion of paper judgment to legal tender: obtaining a Writ of Execution. The Writ of Execution (Form AOC-CV-400) is an order from the Clerk of Court (only clerks – not judges – may issue these) determining the dollar amount owing on your judgment and commanding the county Sheriff to satisfy that judgment by seizing and selling the debtor’s property, subject to any claimed exemptions. Id. § 1-305. Fill out and send the Writ to the Clerk with a cover letter and $25.00 fee to have the Writ entered. You can ask the Clerk to send the issued Writ back to you for your subsequent delivery to the Sheriff, or ask the Clerk to forward the Writ directly to the Sheriff for service on the debtor. In either case, ensure the Sheriff receives the Writ along with your $15.00 fee per defendant for service. The Sheriff has 90 days to act on a Writ of Execution. The Sheriff’s efforts to locate property subject to execution vary from county to county, but will generally involve a written letter to the debtor demanding payment, a search of the county’s Register of Deeds for any real property not encumbered by a lien or deed of trust, a search of NCDMV records for any vehicles not encumbered by a lien, and one or more in-person visits to the debtor. If you have information as to the whereabouts of specific, non-exempt assets of the debtor, share this information with the Sheriff to save time and assist the Sheriff’s efforts. The power of the Sheriff to levy on property is statutorily limited: only property owned by the debtor (not the interests of another joint owner or property owned as tenants by the entireties) is subject to execution, and the Sheriff cannot resolve ownership or valuation disputes, which must instead be adjudicated by the Court. See N.C.G.S. §§ 1-302 et seq. After the Writ is sent to the Sheriff, you may call the Sheriff’s office to inquire about the status of execution efforts. Do not annoy the Sheriff with overly-frequent calls! The Sheriff is your sole avenue to converting your paper judgment into cash at this stage, so be sure to allow at least four weeks to pass before making an initial inquiry. In the event the Sheriff locates property on which to levy, he will contact you to request an advancement of fees. The property may then be seized and sold at a Sheriff’s public sale. For sales of personal property, notice of the sale is posted at the courthouse for 10 days prior to the sale date, the property is sold to the highest bidder, and the Sheriff submits a report of sale within five days. N.C.G.S. §§ 1-339.41 -.71. For real property sales, notice of sale is posted for 20 days prior to the sale date and published in a newspaper qualified for legal advertising in the county once a week for two successive weeks. The notice of sale must also be served on the debtor. The property is sold to the highest bidder, and the Sheriff submits a report of sale within five days. Id. Note that real property execution sales are subject to an upset bid process, where the high bid can be upset with a new bid of the greater of 5% of the prior bid or $750.00, delivered to the clerk within 10 days of the sale date. Id. § 1-339.64. The net proceeds of a Sheriff’s sale, after deducting the Sheriff’s commission and expenses of sale, are delivered by the Sheriff to the Clerk. If the payment received is less than full payment of the judgment amount, the Clerk credits the judgment with the proceeds received and then sends payment to the judgment creditor’s attorney of record. If the proceeds will fully pay the judgment amount, the Clerk sends a Notice of Payment of Judgment (Form AOC-CV-410) to the creditor’s attorney, which allows 10 days for any objection before the Clerk cancels the judgment and sends payment to the creditor’s attorney. The Sheriff is empowered to obtain additional information from corporate judgment debtors in searching for property on which to levy. Any person having charge or control of the corporate debtor’s property must provide the Sheriff with the names of the corporate directors and officers and a schedule of all of the corporation’s property. Id. § 1-324.2. The Sheriff may also levy upon receivables and debts due to the corporate debtor, and can require the debtor’s agent or employee to assign such debts to him for collection. Id. § 1-324.4. Providing the Sheriff with contact information for an officer or director of your corporate debtor can result in a bevy of useful information about existing assets. If the Sheriff finds no property on which to levy, the Writ of Execution is returned unsatisfied to the Clerk. It is critically important to note that each of the below-discussed supplemental post-judgment proceedings becomes available only after a Writ of Execution has been issued (and in some cases, only after the Writ is returned unsatisfied). Accordingly, the judgment creditor should always have a Writ of Execution issued before moving on to subsequent post-judgment steps – even if the creditor is confident at the outset that the Sheriff will not locate property subject to levy. If you suspect that your debtor has assets located in a different county, transcribe your judgment accordingly and repeat the execution process. Once the Writ of Execution is returned unsatisfied, the post-judgment alchemist’s toolbox expands significantly regarding available next steps. The judgment creditor may issue written interrogatories to the debtor to inquire about existing assets, even before the Writ is returned. N.C.G.S. § 1-352.1. Note that unlike NCRCP 33 interrogatories, post-judgment interrogatories are not limited in number (except as justice requires to protect the debtor from annoyance, embarrassment, or undue expense). Post-judgment interrogatories may be served at any time within three years of the issuance of execution, as long as the judgment remains unsatisfied. The debtor must respond under oath and within 30 days of service. If the debtor fails to respond fully, the creditor can move to compel the debtor to respond. Where the debtor violates an order compelling her response to interrogatories, the creditor can file a motion for order to show cause, requiring the debtor to appear in court and explain to the judge why she should not be held in contempt (and subject to civil fines and/or a “pick-up warrant” for her arrest to be brought before the court). N.C.G.S. § 1-368. A show-cause motion must include a sworn affidavit confirming the basis for a contempt finding and must be served on the adverse party at least five days prior to the hearing. Id. § 5A-23. Where the Execution is returned unsatisfied, the creditor may file a motion for examination of the debtor. Id.§ 1-352. Upon granting the motion, the Court will order the debtor to appear in Court and answer under oath the judgment creditor’s verbal questions regarding the debtor’s assets. The creditor may also examine third-party witnesses in this manner with respect to the debtor’s assets. Id. § 1-356. Where the judgment remains unsatisfied and within 3 years from the issuance of a Writ of Execution, the judgment creditor may move the court to order the debtor, her agent, or anyone having possession or control of her property to produce and permit the inspection and copying of documents and records that are the debtor’s property or provide evidence of the debtor’s property, or to permit the creditor’s entry upon private lands for the purpose of inspecting the debtor’s property. Id. § 1-352.2. Where the judgment creditor learns that property of the debtor may be subject to immediate transfer or disposition by the debtor or a third party in possession or control, the creditor may move the Court for an order restricting the debtor’s or third party’s ability to transfer, assign, or otherwise dispose of that property. Id. § 1-358. The above-described supplemental proceedings should all be filed in the county where the judgment was entered. Note, however, that any orders directing the debtor to appear in person must designate an appearance location in the county of the debtor’s residence. Id. § 1-361. The creditor may also move the Court to appoint a receiver, frequently a local attorney (not your spouse or your law partner! ), to take control and dispose of the debtor’s property in satisfaction of your judgment. Id.§§ 1-363 and 1-502. Receivers can be appointed pre- or post-judgment. The receiver must post a bond prior to undertaking his appointment. Each of these options should be viewed by the post-judgment alchemist as having dual purposes: the discovery of information about the debtor’s assets that may be subject to sale by the Court in satisfaction of the judgment debt, and the opportunity to pursue continued settlement negotiations with the judgment debtor. With careful planning of your post-judgment strategy, often involving the simultaneous deployment of multiple motions along with written interrogatories, the post-judgment alchemist may successfully transform her paper judgment into settlement payments. Where the creditor has information that the debtor may have a deposit account with a bank with an office in a county within the Clerk’s jurisdiction, the industrious post-judgment alchemist may file with the Clerk an ex parte motion pursuant to N.C.G.S. §§ 1-358, 1-360, and 1-362 seeking an order compelling the depository bank to appear via affidavit and provide the Clerk with an accounting of the funds it owes to the debtor, and enjoining the bank from disbursing or encumbering those funds until further order of the Clerk. Once the “freeze” order is entered, the creditor sends the order to the bank (some banks will accept these by fax, others require the original by mail) along with a form affidavit, with which the bank states what if any funds exist and have been frozen. Upon receipt of an affidavit showing the existence of funds, the creditor then schedules a hearing before the Clerk, provides written notice of the hearing to the debtor, and then attends a hearing to obtain a subsequent order directing the bank to release the frozen funds to the creditor. Note that exempt funds are not subject to levy – including child support payments, social security payments, and the debtor’s earnings for personal services received up to 60 days prior to the order (but which the debtor must prove by affidavit or otherwise). N.C.G.S. § 1-362. The release order is sent to the bank, who then sends its check for funds in reply. Often, a settlement can be reached in advance of the hearing date, once the debtor realizes she can no longer access the funds in her bank account. Note that the practice and procedure of bank account levies vary widely from county to county, so be sure to inquire with your local Clerk’s office to determine what is expected in your jurisdiction. With intentional planning and a grasp of the numerous statutory tools available, the scrupulous litigator may from time to time successfully achieve the alchemy of converting paper judgment to tradeable currency. So go forth, ye post-judgment alchemists, and transform!